It is hard to believe that the 2015 HD Expo is just a mere 5 weeks away. The conference runs from May 13-15th but, as exhibitors, we arrive to set up our booth the day before and then de-construct the booth once the conference is over. Our booth is #2277 and is definitely worth a visit. We will be debuting several new pieces including our new wall sconces and our highly anticipated LED door handle from the Morphic collection. We will also be awarding to the first ten visitors to our booth one of our orchid cabinet pulls from the Flora collection. This beautiful pull is an excellent illustration of the attention Martin pays to details that actually turn it into a functional little piece of art. 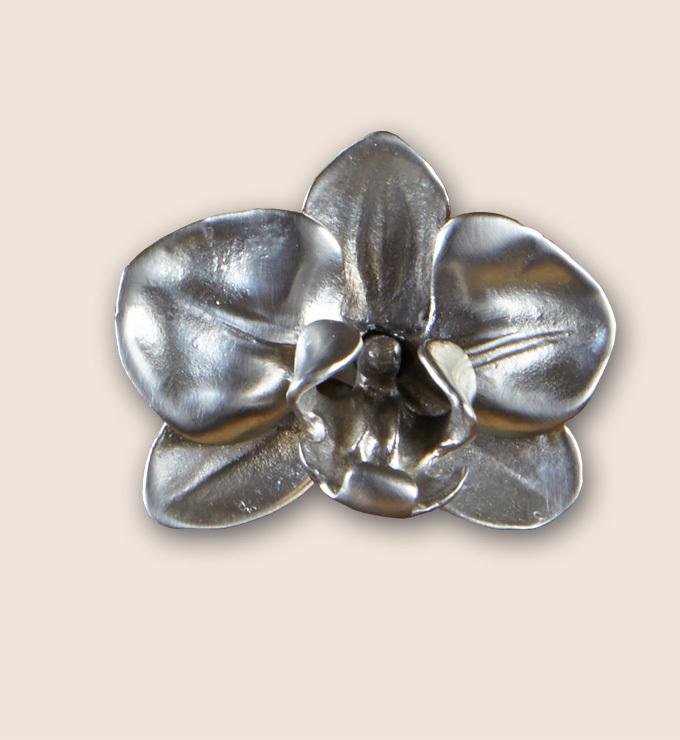 To view our entire collection of architectural hardware, including the Morphic and Flora collections, please visit our site at http://www.martinpierce.com. 2 Responses to HD Expo 2015 will be here before you know it. of Heaven, Hell and Purgatory. “Pearls derived from bamboo appear like hailstones in color, and they are found only within bamboo that has grown in a region populated by religious people [Lots of bamboo pearls in our collection–they mostly come from Ujung Kulon, Java, which secret sources say is one of the remote places where the Indonesian Spiritual Masters regularly convene]. As a princess she is forced to do ‘girly’ activities all day, such as dancing and needlework. Yngwie (pronounced ING-vay) has been turning heads with his over-the-top guitar style for almost thirty-five years now. with him, so keep that in mind. The official guide also recommends this as the next area to go to.